Hunt & evenings with friends package. 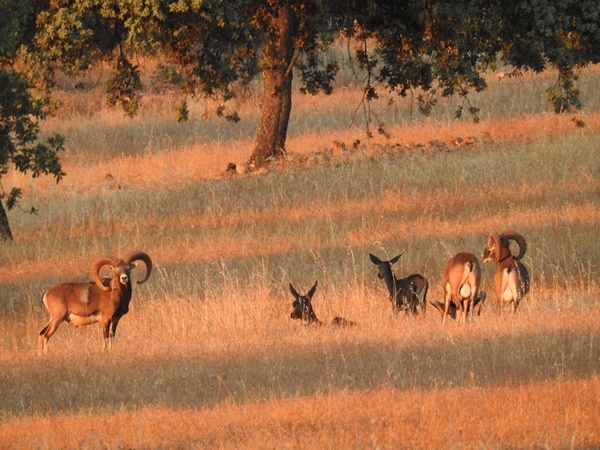 - Big Game Hunting Estate in Spain. "Los Claros"
Hunt & evenings with friends package. 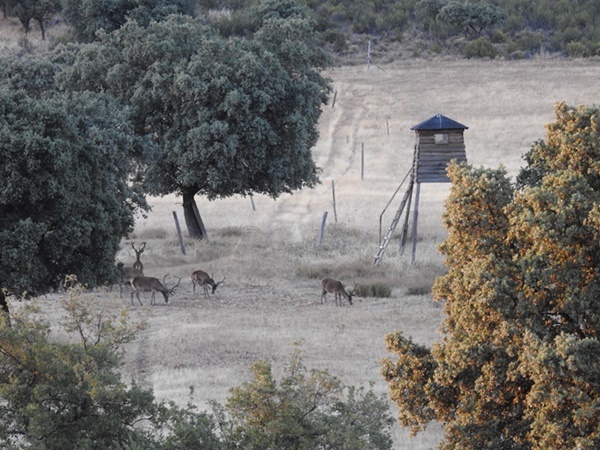 Come and enjoy with your friends, 3 full board days in the Natural Park of Sierra Madrona (Castilla-La Mancha) with 2 hunting days in 4 sessions of waitings. This is the cheapest way to hunt Pure Iberian Red Deer and optionally trophies of Stag, Iberian Mouflon, Wild Boar and foxes. Enjoy and taste the traditional cuisine of the Spanish countryside, with the unsurpassed Iberian acorn-fed ham, Manchego cheese and Rioja wines among other delicatessen. And all this in the Spanish “savannah”, an unforgetable place, surrounded by 11 Declared World Heritage Sites by UNESCO, within a 300 km radius of "Los Claros". This is a special package for groups of 6-9 hunters (maximum 10 people). It includes: 4 daily rates, Airport shuttle and assistance with import-export taxes of guns, paperwork, Regional Hunting License of Castilla-La Mancha, compulsory third party insurance, 3 full board days lodging at “Los Claros” (from dinner of arrival day to breakfast of departure day) 2 full hunting days in 4 sessions of waiting. For more info, please visit our specific website on Big Game Hunting Spain.